The quad display features full screen sequential switching, on screen TIME, TITLE display for each channel and an on screen set-up menu. Alarm detection for sensor contact and video loss in camera as well as freeze of the last picture before video loss. 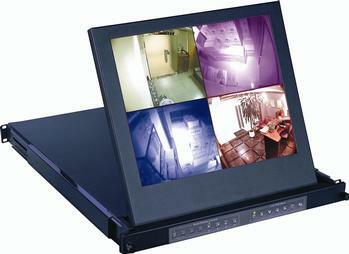 Quad Display Drawer models are 19 inch rackmount with an IEC mains input. DC power options include 12V, 24V and 48V DC.